Cape Town - Advocate Nicolas Kock was elected unopposed as president of the Western Province Cricket Association (WPCA) at a special meeting of the WPCA general council at Newlands on Monday night, succeeding the long-serving Beresford Williams, who was recently elected vice-president of Cricket South Africa (CSA). Kock said it was a great honour to be appointed as president. "Growing up, I did not conceive that it was possible," he said. Asked about his major immediate goals, Kock said WPCA face two major challenges. 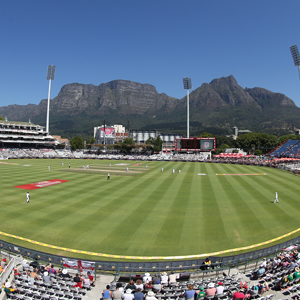 "The first one is the stadium development which is probably, in cricketing context, the biggest in South African history that an association is attempting to embark on. If we manage to pull it off, it will provide us with the cornerstone of sustainability going forward for club cricket and cricket as a whole in the Western Cape region," he said. "The second challenge is our municipal cricketing facilities and its maintenance. Some have already been closed down as it was drought affected facilities. The security and maintenance, coupled with the overuse of the club facilities affected its ability to function properly. We have to sit down with all stakeholders to get to an equitable solution which will be beneficial to all stakeholders." Asked about the Cape Cobras and their quest for more trophies, Kock said: "The franchise is moving in the right direction. We came desperately close to winning the Four-Day Franchise trophy and have reached the semi-finals of the One-Day Cup. We have a dual desire - winning trophies and producing players for the national team. Zubayr Hamza and Janneman Malan earned national honours this season, an indication that our pipeline structures are in working order." In other WPCA board appointments, Ashraf Burns was appointed vice-president and Dr De Vries Basson has been voted on to the board as a non-independent director. Basson, was the local leagues chairman for 13 years and served with distinction in this capacity. Basson is head of internal medicine at the Karl Bremer Hospital.